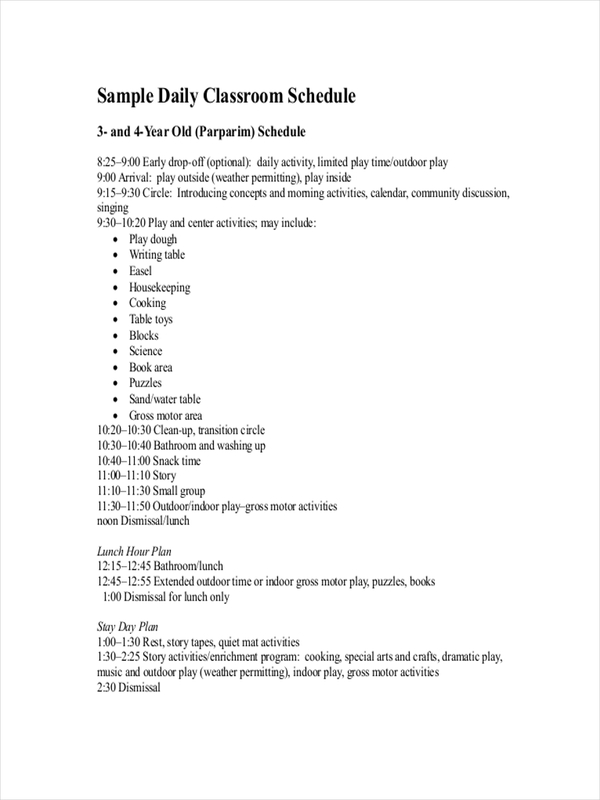 Schedules are primarily created with the intention of managing time, or properly allocating it for appropriate activities and task, to improve an individual’s activity analysis. In the workplace, for instance, employees refer to a work schedule to determine the sample schedule of work or responsibilities they are assigned to do for a set time period. Scheduling activities allow people to focus on the most important things first, before anything else. Aside from the example earlier, you’re probably aware of some uses of work schedules. 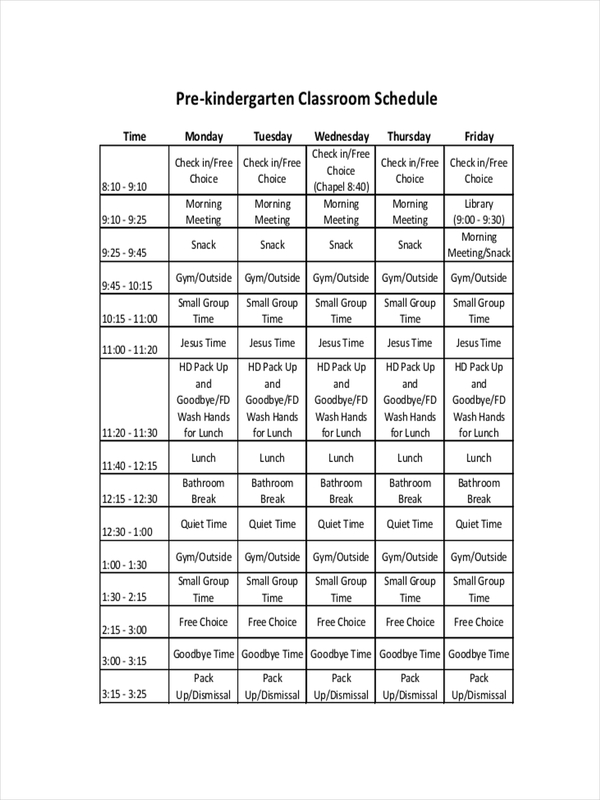 In this post, we will be discussing a classroom schedule and how they are typically used. What Is a Classroom Schedule? A classroom schedule or a class schedule is a schedule typically followed by teachers or their assistants. 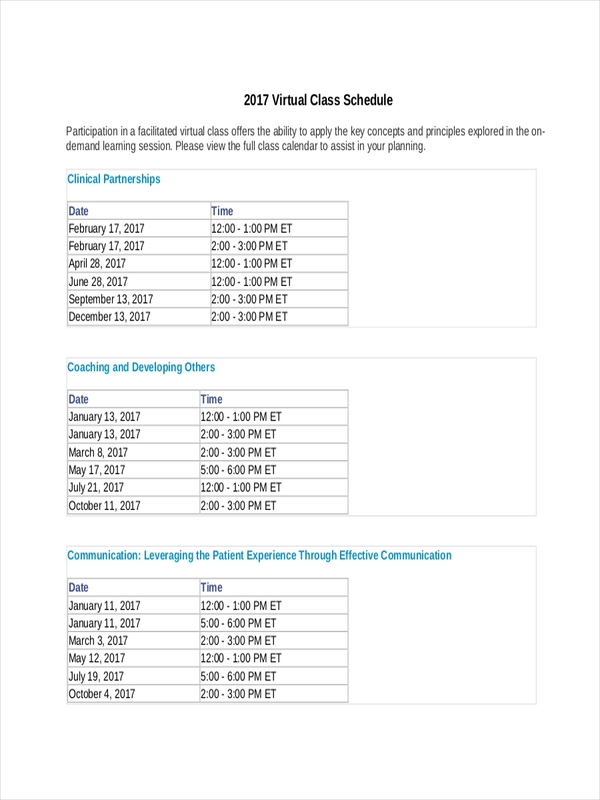 A classroom schedule commonly comprises a list of subjects or courses to be taught and the specific time allotted for each subject. At times, a classroom schedule may contain a list of classrooms and the schedule of classes held in a certain classroom, on a particular day or time. 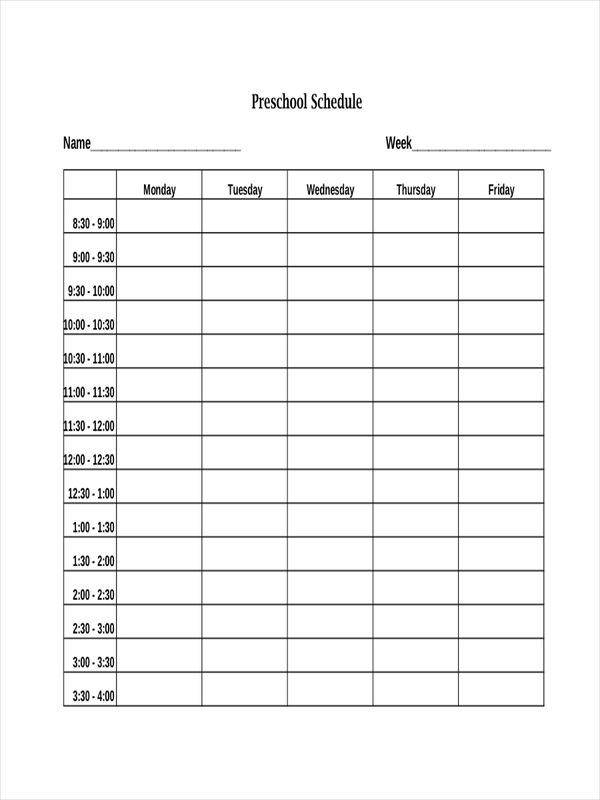 Classroom schedules are critical tools for time management system for both the teachers and the students. This is because every teacher and student needs to go to different classes of different subjects per day, and without a daily schedule, every day would end up being chaotic. the allocated time for each class. 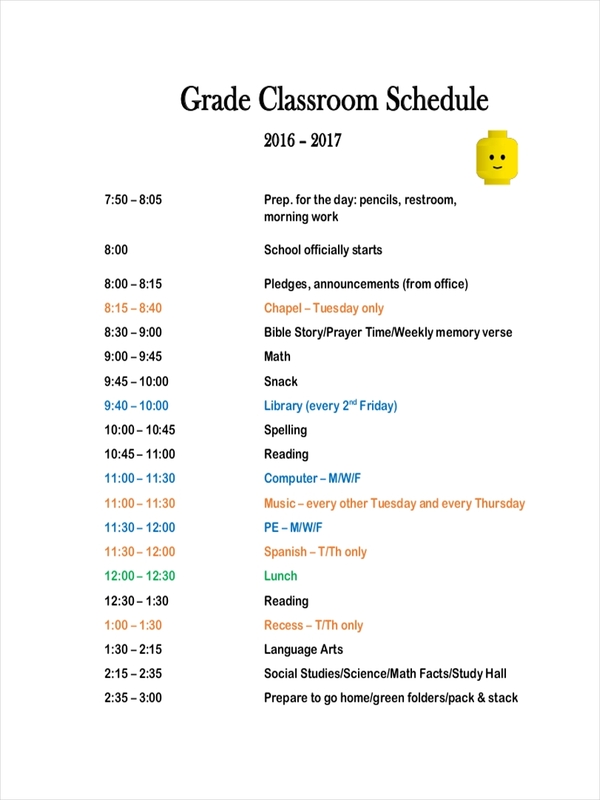 Schedules are intended to divide the time for each subject or class equally so as to prevent confusion for both the teachers and the students. This is also done so the school schedule can carefully and properly manage time in order to meet the learning needs of the students. List down the subjects you need to take up. Determine if all subjects can be taken up in a day, with enough time for breaks, such as lunch break. If not, equally allocate the subjects to different days of the week. Allot the time needed for each subjects to be completed. You can allocate one or one hour and thirty minutes for each subject, depending on the learning needs of the students. 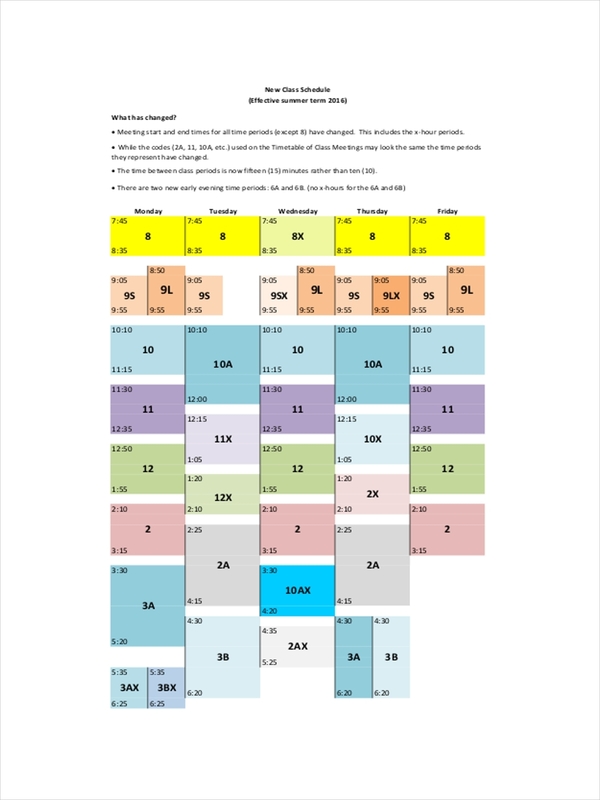 Determine the classroom assignments for each subject. You need to make sure that the classroom is available for the time you set for your subjects. 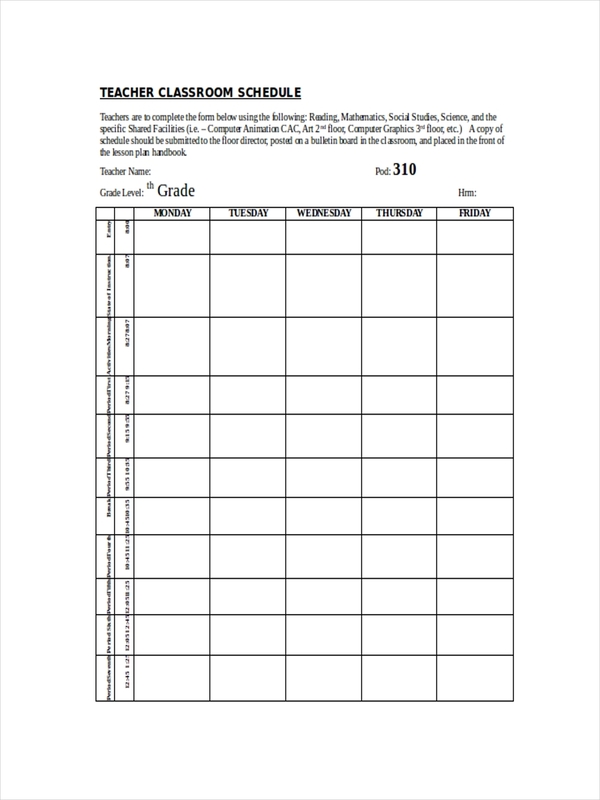 Create a timeline or table to organize your classroom schedule. 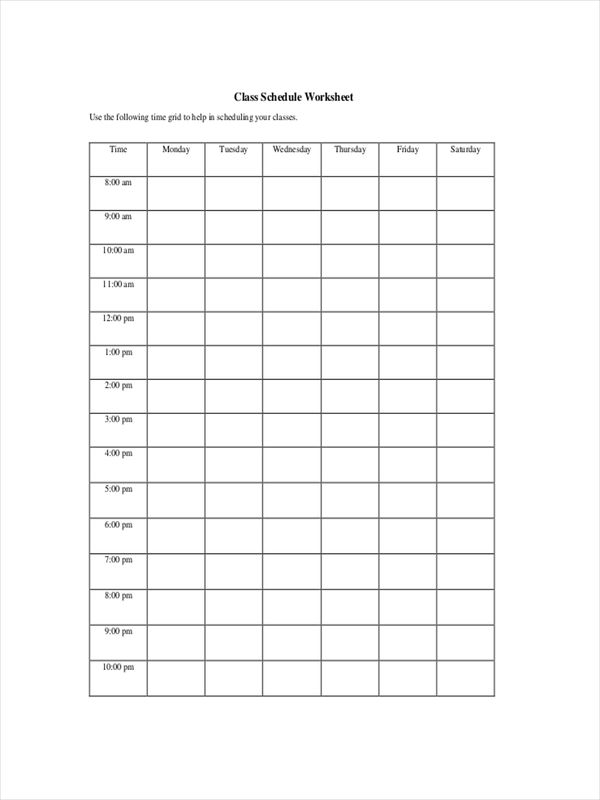 Recheck the time slots, and classroom assignments to ensure the accuracy of your monthly schedule. Check the schedule for any errors or conflict. If you find errors, redo your schedule in pdf and make necessary adjustments. If not, do the necessary finishing touches to polish your classroom schedule.